Sometimes side dishes are the best part of the meal, particularly when flavored with browned mushrooms and fresh thyme. Brown rice adds a dose of fiber to any meal.
. It’s the perfect high-fiber side dish to go with some of our favorite dinners, such as Easy Braised Balsamic & Herb Chicken and Chinese Beef & Broccoli Stir-Fry. Other times we give it a punch of flavor, like in Easy Cilantro Lime Brown Rice and tuck it in burritos. with mushrooms every single time. But as the lone wolf mushroom lover of the house, my only option is to satisfy that whim when guests are coming for dinner or when I’m on my own for lunch. Turning brown rice from a neutral side dish to something that could steal the spotlight is as easy as sautéing the rice with vegetables and fresh herbs, and cooking in a water/broth mixture. A big helping of caramelized mushrooms doesn’t hurt either! Heat ½ teaspoon olive oil in a medium saucepan set over medium heat. Add the onions and cook until soft, 4 to 5 minutes. Add the garlic and cook for 30 seconds. Add the rice and cook, stirring constantly, for 1 minute. Stir in the vegetable broth and water. Bring to a boil, cover saucepan and reduce heat to low. Cook until all of the liquid is absorbed, about 50 minutes. Heat 1 teaspoon olive oil in a large nonstick skillet set over medium-high heat. Add the mushrooms and cook until starting to brown, about 4 minutes. Stir in the thyme and cook for 30 seconds. Add the mushrooms, parsley, salt and pepper to the rice, and stir to combine. Serve. This is totally my kind of rice dish. Love the flavors you’ve paired together – and toasting the rice (like you would for risotto) must add great flavor! Can’t wait to try this! This sounds so so flavorful! What a delicious recipe! My son gets so upset when I don’t make brown rice. He’s like “I hate white rice!” It’s so funny. We would all love this recipe. Love that the rice is toasted too, I’ve never done that! oh my gawd, Dara!!! this is GORGEOUS!!! trying this!!! 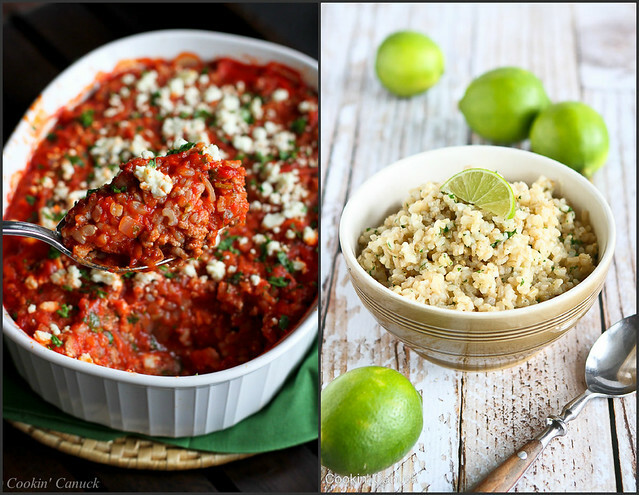 I agree – side dishes are the best! I can make a whole meal out of this beauty. I am soooo making this for dinner tonight !! Love it! Thanks. This dish is just gorgeous, Dara. I want to jump right in! I forgot to tell you – I roasted a huge pan of mushrooms with rosemary and garlic the other day and thought of you. I added them to my rice noodles the next day with salmon. Wish I could have had you for lunch! 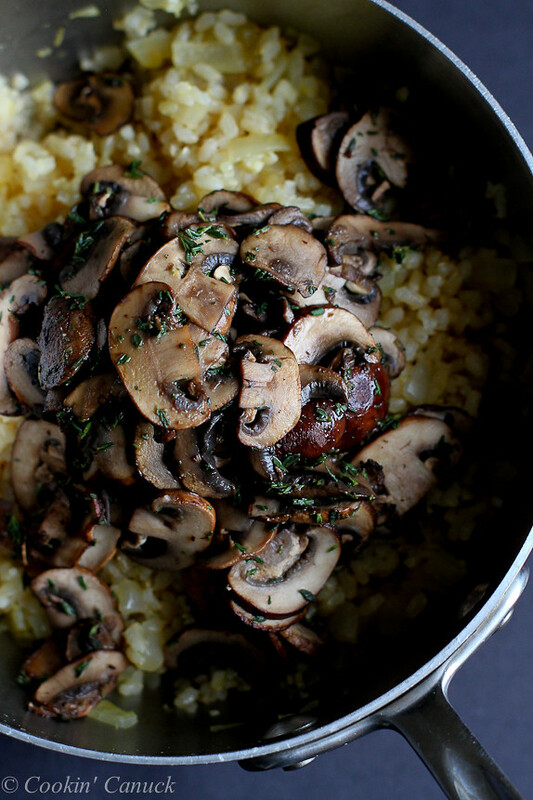 I love everything about this recipe – especially the mushrooms! It’s so versatile! 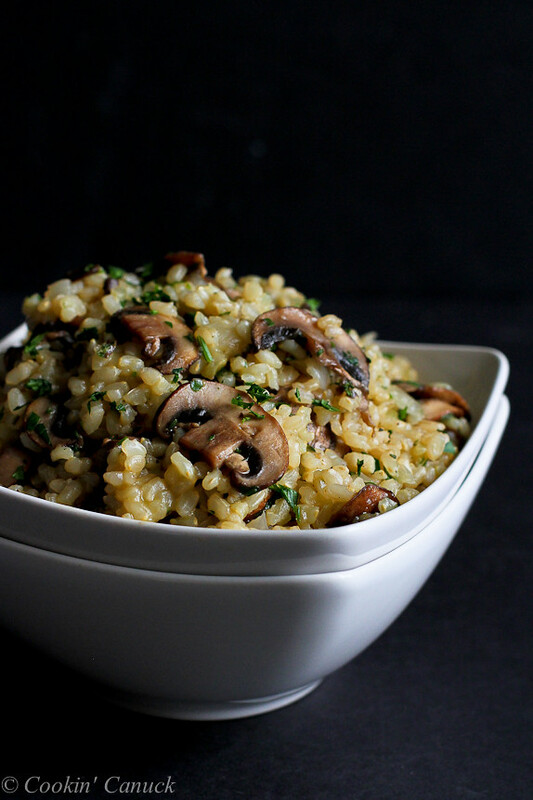 brown rice, mushrooms, thyme… a great combo of ingredients! I love these pictures! That little mushroom in the front is so good. and the picture of the sliced mushrooms is very nice! 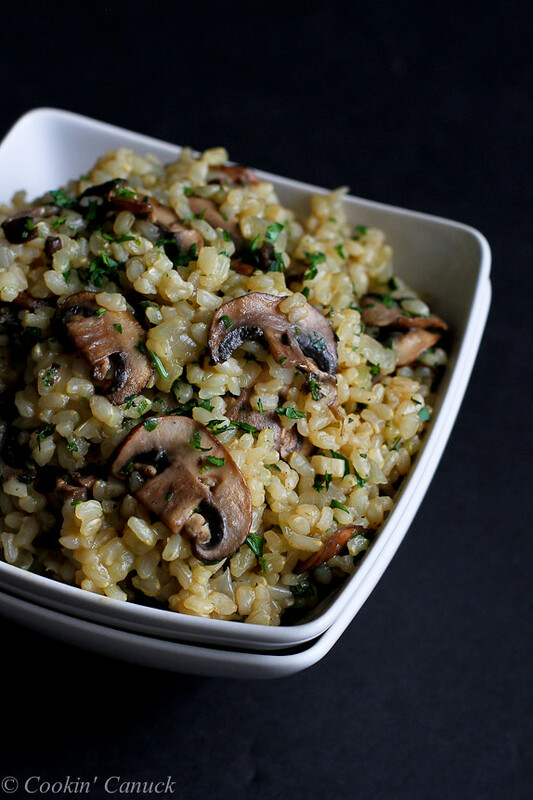 This looks like a great way to cook brown rice! I once bought some, cooked it forever, and it was still crunchy. I think it’s time to revisit it! Oh my this looks amazing! And I go for the side dishes first every time! Yum! 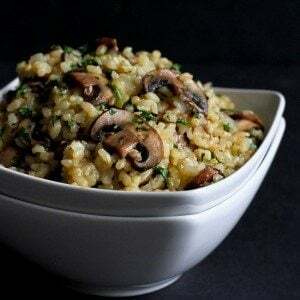 Love any rice dish with mushrooms and herbs. Can’t wait to try this! I really like the nutty chewiness of brown rice. Combined with the meatiness of mushrooms, it’s a wonderful dish! Yum. Mushroom twins! I love simple dishes stuffed with mushrooms! This is heavenly! 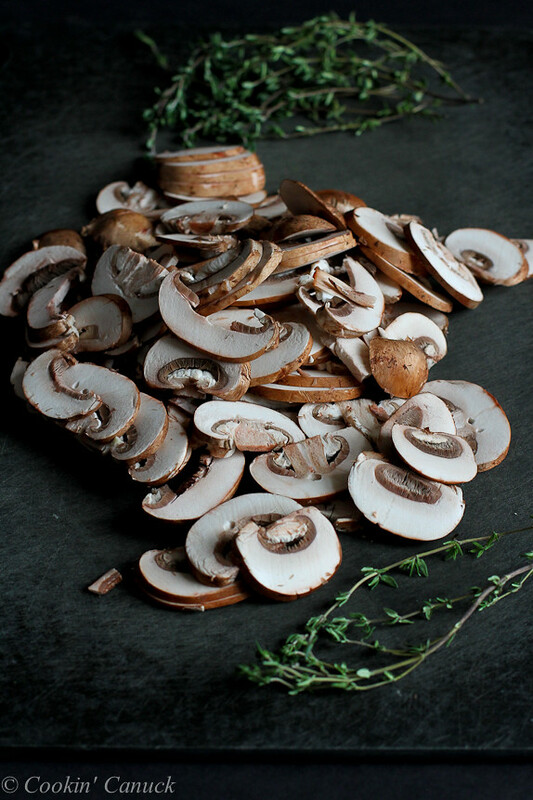 I know this is going to sound so silly but that photo of the raw sliced mushrooms is so pretty! Who knew fungi could look so good 😉 Love this dish too. It’s hearty enough to be filling but perfect for my non-meat eating family members. I love mushrooms and I probably love them more than anyone in my family! And um, yes, sometimes side dishes are what I’m looking forward too, the main dish is just there because haha. I’m craving this so bad right now! This looks incredible — just like the kind of dish my kids and I would love. We are huge mushroom fans, and the creaminess of this has me drooling.